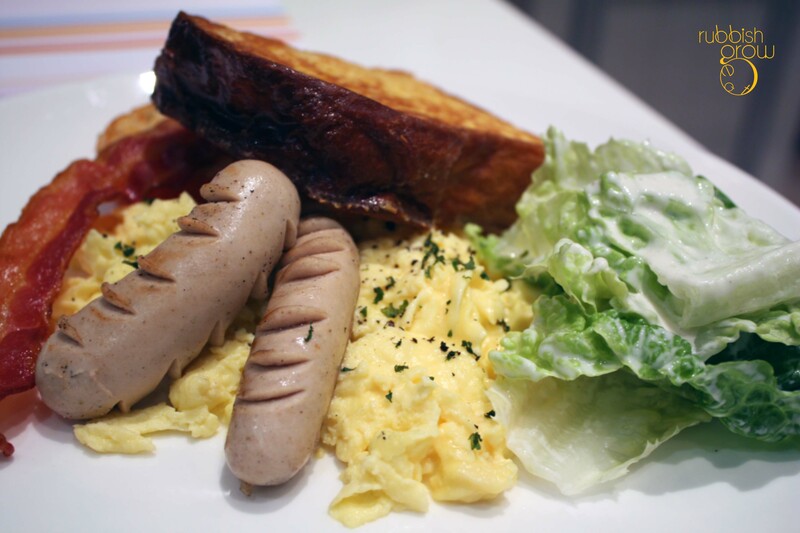 Food Junction presents Eggs and Berries, an all-day American-styled breakfast restaurant. Which means that the portions are hearty. 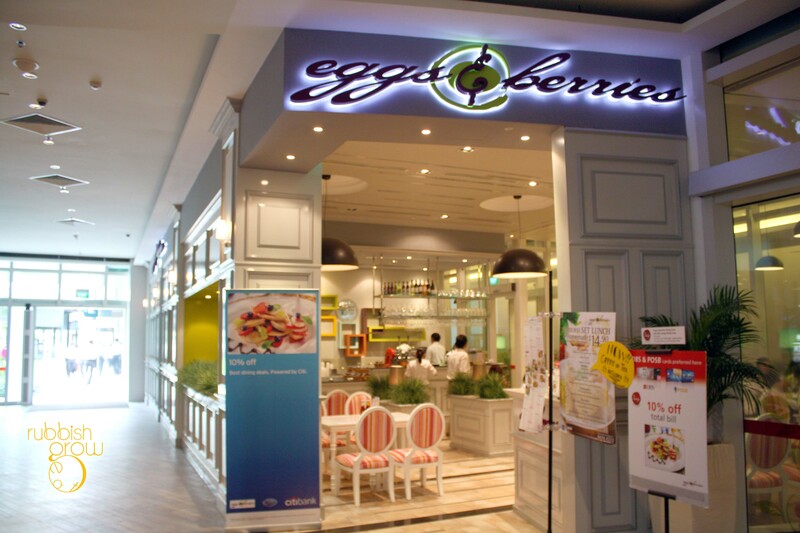 Chef Lewis Ang who helms Eggs and Berries has experience at Al Forno, Resorts World Sentosa, Marriott, and Hilton. Besides a good chef, the winning point of the entire restaurant is well-conceptionalized. 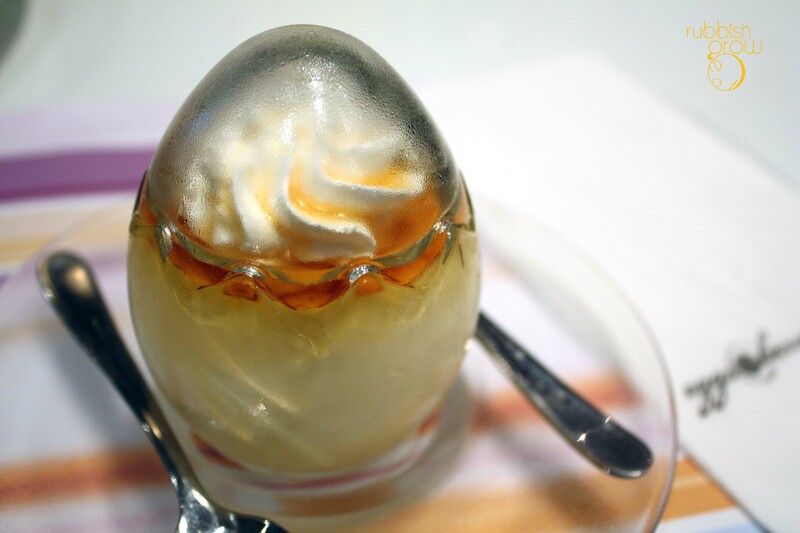 For instance, most of the dishes contain either eggs or berries or both. 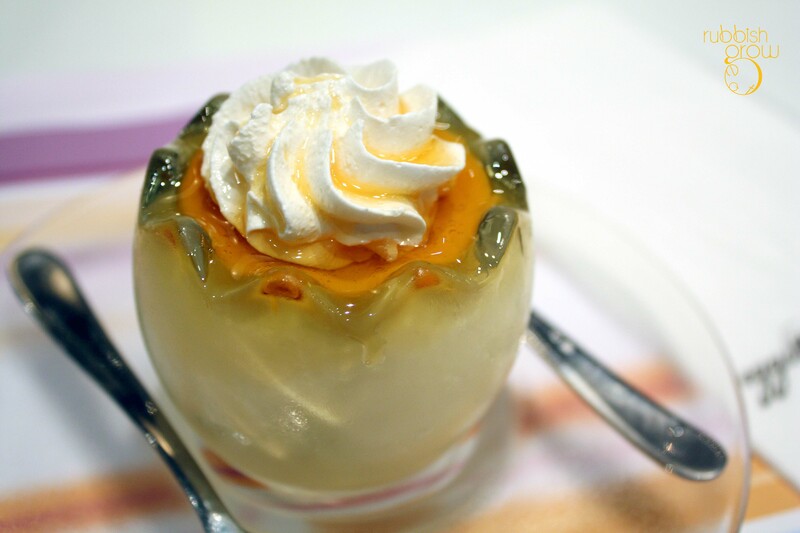 On each table is an electric tealight in an egg-shaped glass. 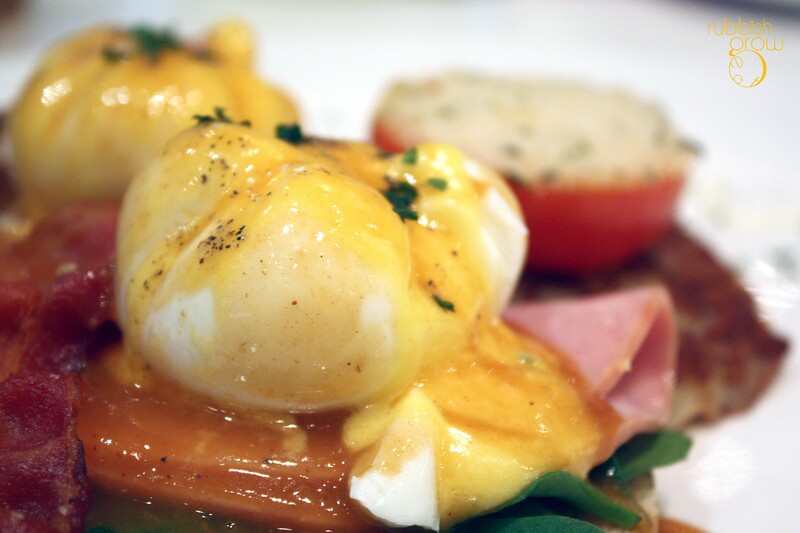 Eggs Benedict, which may be Singaporean favorite brunch dish, comes with two poached eggs, ham and spinach on top of English muffins, drizzled generously with Hollandaise sauce. There is more on the plate: rosti, bacon, and half a tomato. 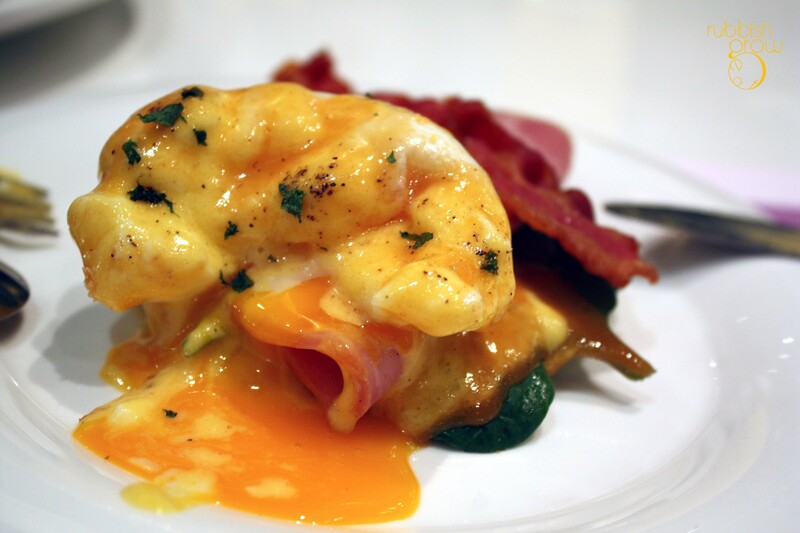 What can be cooked was cooked admirably: the yolk was runny and precious. But what wasn’t cooked, such as the ham, may need to be looked into. The sweet brioche french toast with sausage and scrambled eggs ($13.50) that comes with bacon and pancakes had the same strengths and foibles as the eggs benedict: the scramble egg was decent and the french toast was crispy and at the same time, fluffy and light. But the sausage (from a supplier) was flat. 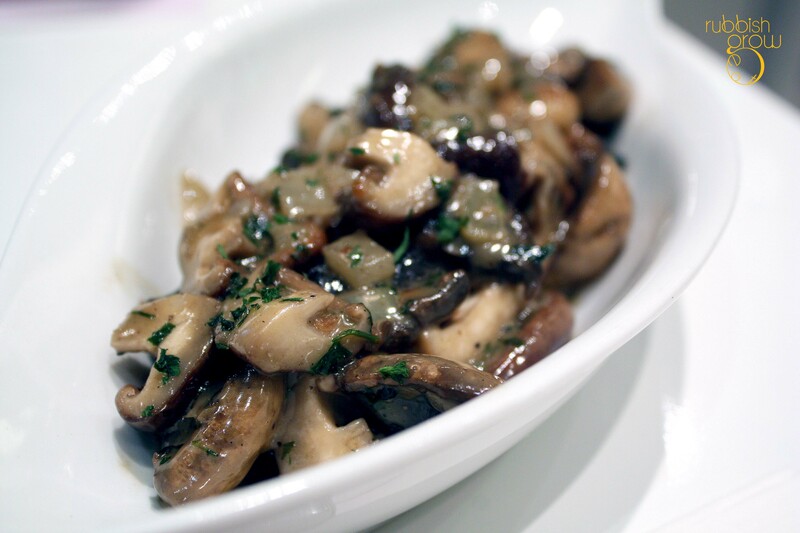 A dish that I’d unreservedly recommend is the sauteed mushroom. Made of two kinds of mushrooms, shiitake and button, the simple piping hot dish sang. Avoid the visually appealing creme brulee (too dense a texture, too intense a taste). 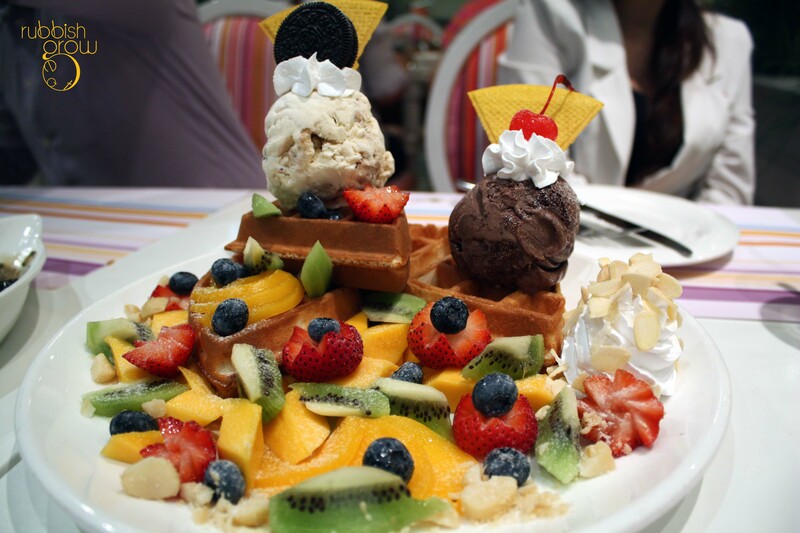 Over the Rainbow ($10.50) combines eggs (from the waffles) and berries. It comes with Ben & Jerry‘s ice cream and three sauces, maple syrup, chocolate and strawberry. The waffle could have been tenderer and moister. Overall, there are some hits and misses at this all-day breakfast joint although the “misses” mostly belong to the fault of the suppliers, not the cooking. 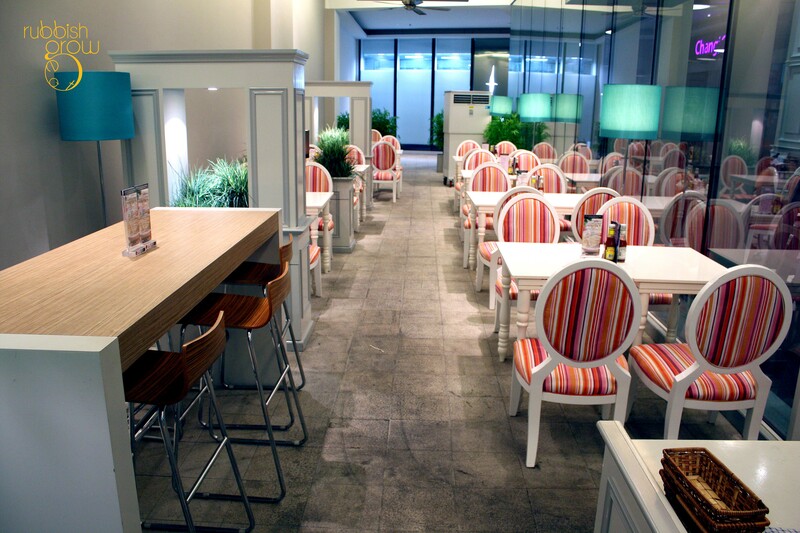 The decor is pretty and the service is well-trained. What is remarkable is the value-for-money-ness of the restaurant. 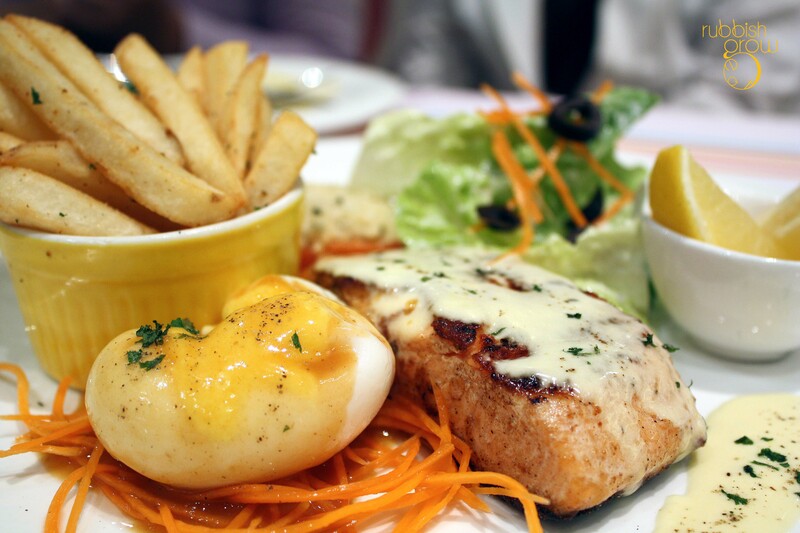 Unlike most brunch places that leave part of the plates empty, Egg and Berries’s plates are piled with food and cost 25% lesser than elsewhere. PS: Special thanks to Pansy, Lewis and Ray for the invite. I love sauteed mushroom!!!! delish! This one is especially delicious, not those soggy type, but firm with a bite and the two tastes of mushrooms blend together to give a more superb flavor. that’s how we like food to be: dramatic. haha. After searching for 4 years we found an American breakfast that feels (pretty much) like and American breakfast. We loved the food, service and atmosphere. My only letdown…fake whipped cream )-: It is one of my pet peeves. And my hubby didn’t like that he couldn’t slide his chair under the table. Chairs are too wide and hit the table legs, or visa versa. Great food, great portions sizes and a REAL waffle. Will go back!